The Windows Insiders on the Fast Ring recently tested the new Fluent Design changes in Outlook Mail and Calendar app and as the company received positive feedback, the new update is now available for everyone. Microsoft is today rolling out a major update to Windows 10’s Mail and Calendar app on the Microsoft Store, the update is being rolled out to the non-Insiders i.e on the Production Ring. 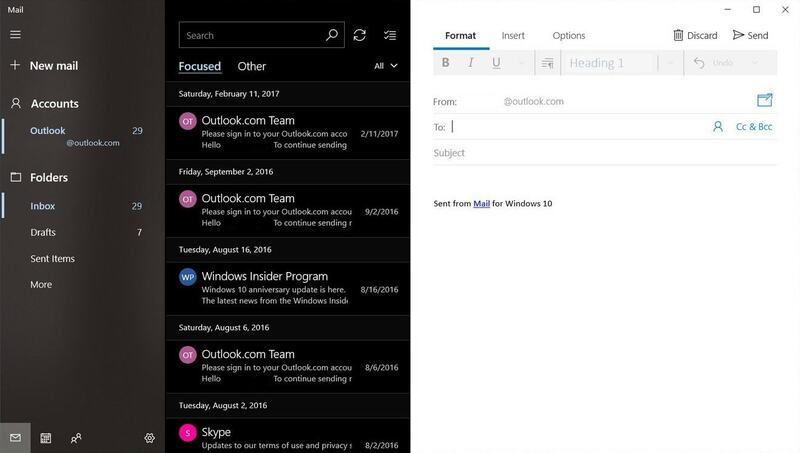 Microsoft today announced the new version of Outlook Mail and Calendar for Windows 10 in a blog post, the company confirmed that the app has been updated to version 17.8700.40485.0 with Fluent Design changes and more. Microsoft has redesigned the Mail and Calendar app for all Windows 10 users, it has a clean and concise look, the app now feels better throughout the experience. You’ll notice that the menus of the Mail and Calendar app has the acrylic and reveal effects, the changes are noticeable when you’ll hover the mouse on the hamburger menu. With version 17.8700.40485.0, Microsoft has also removed the borders, offering an improved user interface where the contents could extend to the top of the window. Apart from the above-mentioned changes, Microsoft has also added hundreds of new colours and refreshed the background photo. As we noted above, Microsoft is updating the Mail and Calendar app on the Production Ring. If you are a non-Insider with the Fall Creators Update, you should be getting the update now or in the coming hours.